Edgewater is a gated community within Barefoot Resort. This second floor end unit faces the 15th hole of the Norman Course. 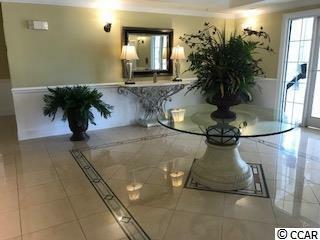 Upon entering there is a tiled foyer that leads to all the living spaces which have laminate wood plank style flooring, with tile in all wet areas. To the right are three bedrooms, one is considered a second master with its own private bath and walk in closet. There is a laundry room and shared hall bath for the other bedrooms as well as a walk in storage area with shelving. To the left of the foyer is the living and dining area. 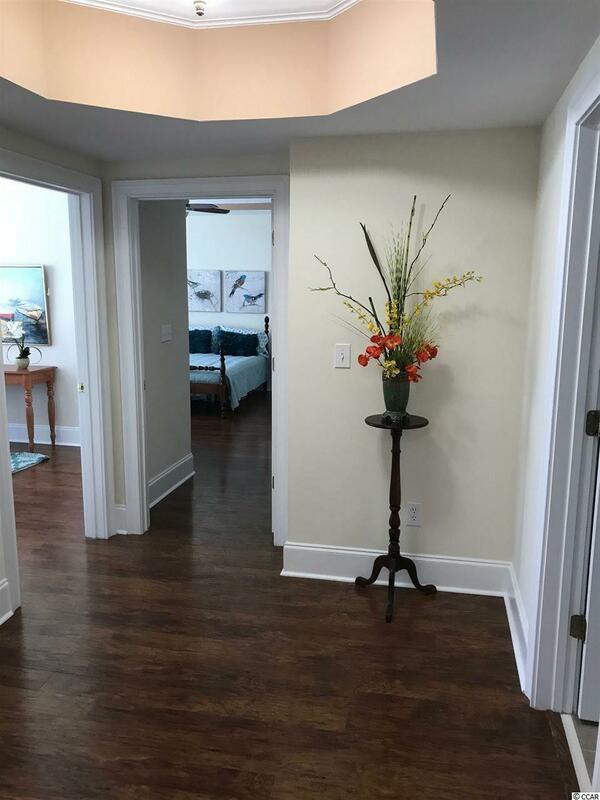 A wide open floor plan with loads of windows, all with custom plantation style shutters, leads you to the screened porch which features EZ Breeze windows. The porch has a custom mosaic tile floor, ceiling fan and a view of the Golf Course. Off of the living room is the main master bedroom. His and hers walk in closets, separate bathroom vanities, a jetted tub and large shower are featured in the master bath. Straight ahead of the foyer is the kitchen. Custom Oak cabinets, solid surface countertops, tiled backsplash, pantry, stainless steel appliances and a sunny breakfast nook. Just outside the unit door is a separate, private, locked climate controlled storage room. There is also a large private locked storage unit in the garage area. There is one reserved garage space for the unit in a 14 car garage, as well as plenty of spaces just outside the front door of the building. The upgraded HVAC system was installed in 2016, with a wifi capable thermostat. 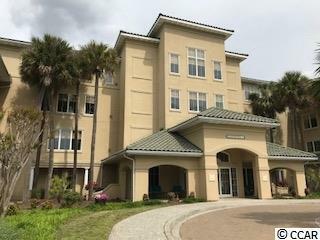 There are clubhouse facilities within the community that include party/meeting/game room, kitchen, gym, restrooms, pool, hot tub and gas grills along with a great view of the intercostal waterway. There is a TRANSFERABLE GOLF MEMBERSHIP available with this unit for a fee. 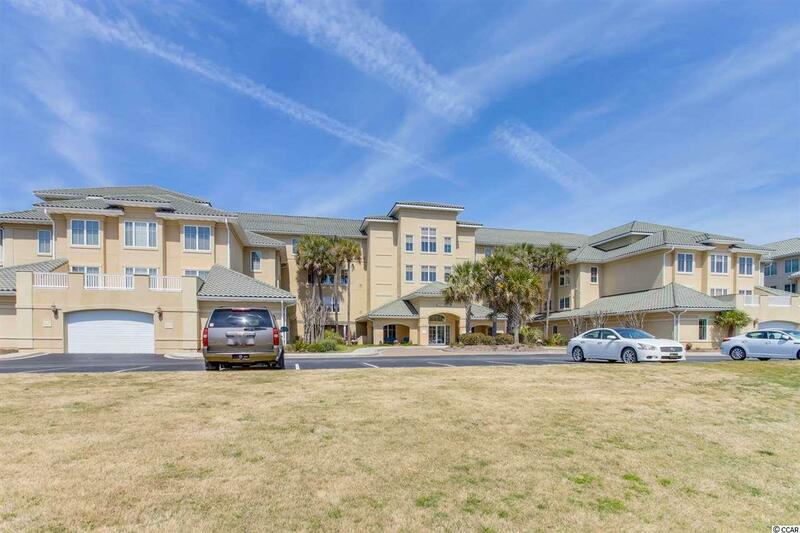 Barefoot Resort is one of the most coveted neighborhoods in North Myrtle Beach. Barefoot has 4 Championship Golf Courses and a multimillion dollar clubhouse. Close to the beach, Barefoot offers a seasonal shuttle to the private Barefoot Oceanfront Beach Cabana. Barefoot is located close to many amenities such as Barefoot Landing, Alabama Theater, House of Blues, and many restaurants and great shopping. Come and enjoy the Barefoot lifestyle, youll be glad you did! Measurements are approximate and square footage should be verified by buyer.